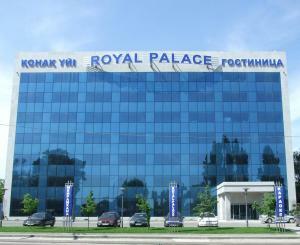 Royal Park Hotel is perfectly located for both business and leisure guests in Almaty. The hotel offers a wide range of amenities and perks to ensure you have a great time. All the necessary facilities, including 24-hour front desk, valet parking, room service, airport transfer, laundry service, are at hand. All rooms are designed and decorated to make guests feel right at home, and some rooms come with air conditioning, heating, desk, mini bar, telephone. The hotel offers various recreational opportunities. For reliable service and professional staff, Royal Park Hotel caters to your needs.